The Bruce Museum is a Connecticut Art Trail site. Alas, The Bruce Museum was originally built as a private home in 1853 for lawyer, clergyman and historian Francis Lister Hawks. Robert Moffat Bruce (1822-1908), a wealthy textile merchant and member of the New York Cotton Exchange, bought the house and property in 1858. 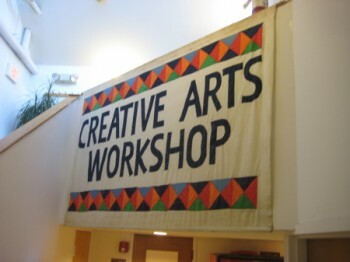 In 1908, Robert Moffat Bruce deeded his property to the Town of Greenwich, stipulating that it be used as “a natural history, historical, and art museum for the use and benefit of the public.” The first exhibition ever at the Bruce Museum took place in 1912 and featured works by local artists known as the Greenwich Society of Artists, several of whom were members of the Cos Cob Art Colony. Sorry Laura. I had received an even earlier note from Mike Horyczyun from the Bruce Museum stating, “Stephen, visit us sometime and say hello to me.” And so, a couple weeks before my planned visit during a full day of Fairfield County CTMQ’ing, I emailed Mike and alerted him to the celebrity visit about to descend upon his museum. Alas, I never heard back from him at all. Especially when you’re located in Greenwich and probably get more donations, corporate and private, than 99% of the museums across the state. But I digress and I’m sorry that Mike and I never hooked up. As penance for these two transgressions, I’m going to copy and paste liberally from the Bruce’s website. They certainly have put together a top notch museum websites in the state and need to be commended for that. That has plagued me for years, and I’m very glad to have looked it up just now, but I can’t imagine dropping that knowledge in mixed company. So let’s move past that and check out what the Gruß Museum has to offer. The art deco building itself is beautiful. Perched atop a little hill next to an impeccable park for all the little Richie Rich’s of Greenwich to enjoy (all the stuff that’s public in other CT towns is was private to Greenichites – parks, beaches, even the Bruce Museum’s adjunct Seaside Center Museum. It’s ridiculous). Rob and I entered and paid our entrance fee and then the pretentiously accented lady told us that two exhibit halls were closed. Gee, thanks well-dressed lady. We passed two “guards” chatting about the latest polo results and entered the first of the permanent exhibits. The original Mr. Bruce was pretty specific about what Greenwich would have to do with the museum – include natural history, history and art. 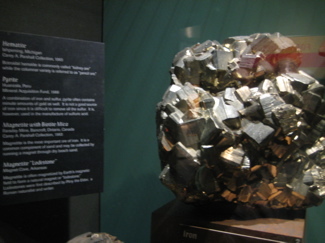 So it’s cool that the museum has a good mix of stuff in its exhibits and will satisfy pretty much anyone who visits. 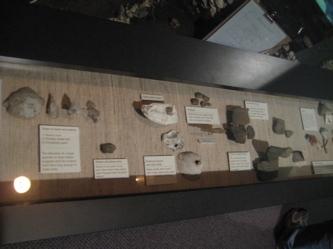 Up first was the natural history exhibition Changes in Our Land which addressed environmental history from global to local perspectives and from ancient times to the present. Together they reveal the interdependence of the living and non-living resources of our land. Individually they each have their own ecological story to tell. The environment in which we live results from the interweaving of these stories, from the continuity of earth’s cycles and from the changes that have occurred and are occurring over time. I’m going to have to pick and choose which blurbs to copy and paste from the Bruce website. It’s very thorough and even has far better pictures than I have. That little devil on my shoulder is saying, “Ssssteve, just link their page and be done with it!” Oh shut up devil. That’s just ridiculous. 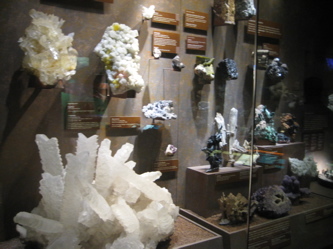 The Bruce has an incredibly impressive display of rocks and minerals – not all of them are from Connecticut or even anywhere near Connecticut. I’ll go so far as to say it’s the best I’ve seen in the state thus far… Really, really cool stuff. Since the formation of Planet Earth some 4.5 billion years ago, the dynamic forces of temperature and pressure, along with the internal and external of water, gases, chemical and physical actions, have produced an ongoing record of geologic change. 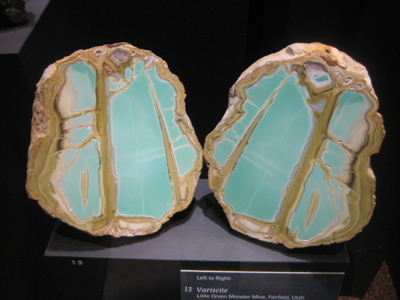 These changes have resulted in the creation of over 3,500 minerals, common and rare, which mankind has been increasingly depended upon over the past several thousand years. Today, our technologic society creates even greater demands upon these finite natural resources. 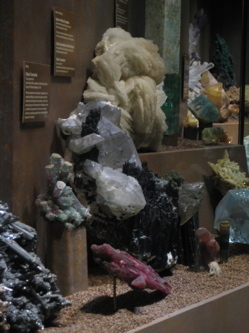 You can Check out their virtual tour of the minerals on display. There’s a nice display about the formation of “our land,” which down Greenwich’s way is more about the Long Island Sound than the Metacomet range and river valleys I’m used to up north. 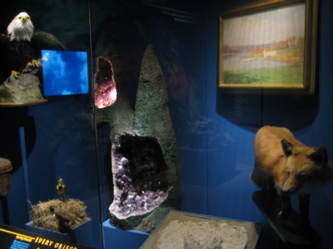 After checking out the rocks and minerals and then how they came to be where they are today, the exhibit moves on to the human imprint on our land. It’s not preachy or doomsaying at all, and very well done. Up next, a tiny little tidal area display, complete with touch tank. I love touch tanks! 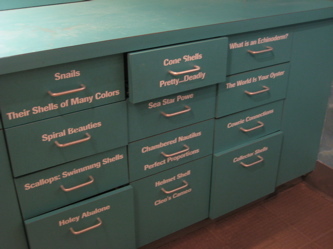 This one was a bit lacking, however, but the signage and drawers full of cool tidal sea life made up for that. The coast of Connecticut is a land dominated by the movement of water. The land changes daily with the tides, seasonally with the climate and over the years with changing water and nutrient levels. The inter-tidal areas along the shore are composed mostly of glacial drift, rocky ledges, artificial fill and bulkheads, a few sandy beaches, mud flats and about 15,000 acres of salt marsh, This is home to an amazing array of plants and animals. Their website goes on to discuss marsh lands and stuff, if you’re interested. There’s a very nice display of a Connecticut woodland. 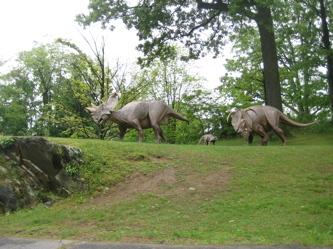 In this life-size diorama step back 500 years to a woodland near Long Island Sound. The Lenape Indians, occupants of the Manakaway site, made their home here. Where transitions occur, life is most active: when day changes to night, where woods give way to open land, and where land yields to water. 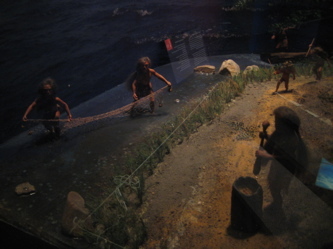 The Lenape took advantage of the profusion of plant and animal life at these transitions, hunting at dawn and dusk, creating clearings to attract wildlife and building their dwellings on land near water. Here they chose high ground sheltered by rocks and trees as protection from storm and floods. Sites near rivers running to Long Island Sound gave access to fresh water, food and means of transportation to other areas along the Sound. Hey! This may be the only mention of the Lenape Indians up here in Connecticut. They were the dominant people in Delaware where I grew up, so that’s kind of neat to see here. I get tired of all the Pequots and Mohegans and Narragansett stories, y’know? I’m totally on Team Lenape, even if they were over on Long Island and not really in Connecticut. The last bit of this first multi-room exhibit is all about the changing seasons and what that means for our local ecosystems. It’s a very thorough examination of the local landscape and ecology with enough cool animals for kids and enough interesting facts to satisfy even the likes of me. Moving on to the year-long temporary exhibit Eat or Be Eaten: Animal Survival Strategies, I must say I was pretty excited about this bit. 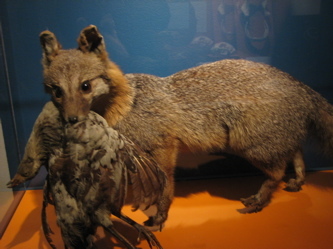 The fascinating and sometimes bizarre adaptations of predators and prey in the natural world is the focus of the exhibition. In the complex web of life, animals have evolved a variety of strategies that help them find food and avoid becoming someone else’s meal in the struggle for survival. 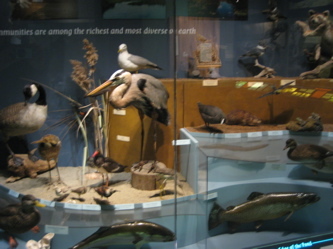 Over 70 specimens of insects, shells, fish, reptiles, mammals, and birds from the Bruce Museum collection illustrate how animals detect, capture and consume prey while minimizing risk from predators. 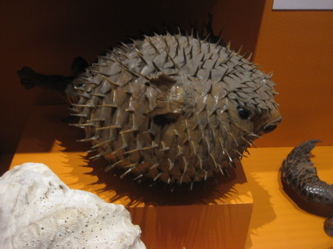 Examining form and function as well as behavioral adaptations, the exhibition includes some of the speediest, most dangerous, and unusual creatures on earth. Compare fossil and modern-day dragonflies to see how little has changed in 150 million years with the world’s fastest insect. An exploration of animal motion features the pronghorn, which can outrun a cheetah over a long distance. 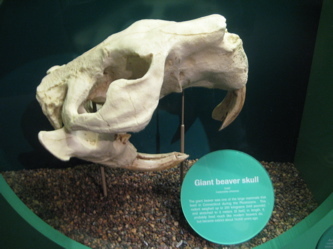 Skulls of carnivores such as shark, mountain lion, alligator and harpy eagle contrast with those of omnivores like the opossum and muskrat and plant-eaters like the rabbit and fossil horse. Microscopic views of the different mouthparts of the mosquito, bee, fly, and tick show why not all bites are the same. 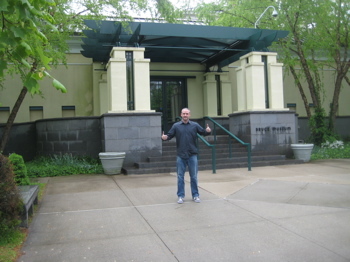 This exhibit prompted Rob, my partner for the day, to launch into random stories of crocodiles eating American tourists. I’m not sure the mom of the two little kids enjoyed the tale, but I did. If I ever die by crocodile, be sure to call me an idiot 5 times during your eulogies. The big temporary exhibit during our visit was an incredibly well done and thoroughly interesting one all about the imagery of one Abraham Lincoln. I’m so thankful to the Bruce’s website for doing the explanation, as I wouldn’t even begin to do it justice on my own. In addition to that, my typically terrible photos are even worse than usual as I didn’t use the flash in the darkened room. 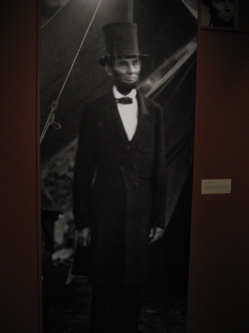 Lincoln, Life-Size is the very first exhibition devoted primarily to this country’s premiere collection Abraham Lincoln imagery. 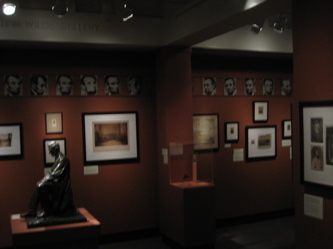 Photographs of Lincoln, digitally reproduced to life size, hang alongside original 19th-century images and artifacts that tell the story of his tumultuous presidency. The exhibition chronicles the toll of war etched into the face of our 16th president. 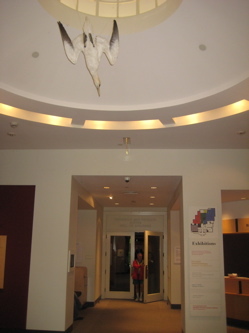 Life-size images circle the Museum’s Arcade Gallery. Beneath this facial timeline of his presidency is a selection of photographs of people who touched his life and events that nearly wore him out. 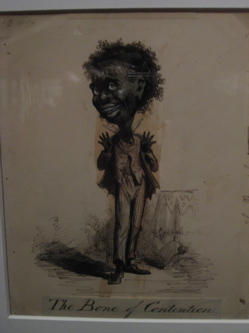 The show explores the time from his arrival in Washington through his assassination. The war unfolds, his son dies, and he struggles with generals and mounting death tolls. Lincoln is revealed grappling with emancipation, being pulled in all directions by his constituents, drafting words that would become sacred, serving as husband and father, and ultimately holding the country together. This exhibition was organized by guest curator Peter W. Kunhardt, Jr., Assistant Director, The Meserve-Kunhardt Foundation, and Bruce Museum Director of Education Robin Garr. Guest curator. Kunhardt is a great-great-grandson of this country’s premiere Lincoln collector, Frederick Hill Meserve. Meserve’s passion for Lincoln was ignited in the 1880s when his father, who had served in the Civil War, asked him to hunt for photographs to illustrate his handwritten war diary. Five generations of the family have preserved this historical record over the past century. The blurb above doesn’t mention the letter from Frederick Douglass to his former master, Hugh Auld. In it, Douglass sort of apologizes for running away and even says he wished to continue letter-writing contact. Douglass “loved” the Auld kids and asked about his birthdate and said he would be friends with Auld if there was no slavery. Rather amazing to say the least. 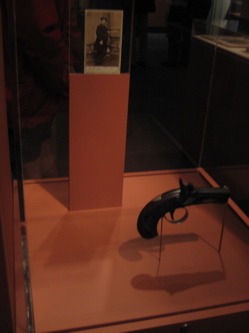 There’s also the gun* that John Wilkes Booth used to assassinate Lincoln! WOW! *Upon further review, the gun on display was the same kind of gun used by Booth and not the actual gun. 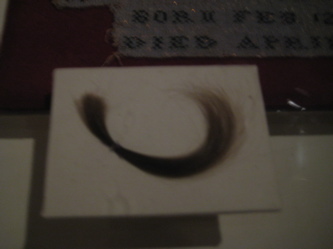 There IS, however a lock of Lincoln’s actual hair snipped off of him during his funeral procession. People collect the oddest stuff. The Bruce Museum puts up a TON of good stuff online. Like, check out the images of Lincoln they have here. Like old dresses. Of course, I can’t poke fun at anyone for collecting anything really, as CTMQ wouldn’t exist if people didn’t preserve the past. I’ve mentioned this before, but it bears repeating: I don’t collect anything. I never have and can’t imagine I ever will. I hate “stuff” around my house. I take great joy in getting rid of “stuff’ and am very happy I married a woman who feels the same way. The exhibit we couldn’t see was called The Dressmaker’s Art: Highlights of the Bruce Museum’s Costume Collection and I’m sure it was lovely. “It features twenty-four elegant gowns and dresses along with displays of lavishly embellished accessories and underpinnings such as taffeta and lace petticoats, primarily taken from the collection of the Bruce Museum in Greenwich, Connecticut. 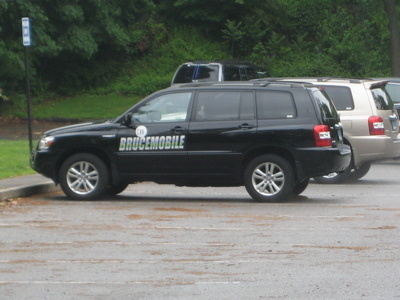 The Brucemobile is an educational outreach program that travels to classrooms, like a field trip in reverse! 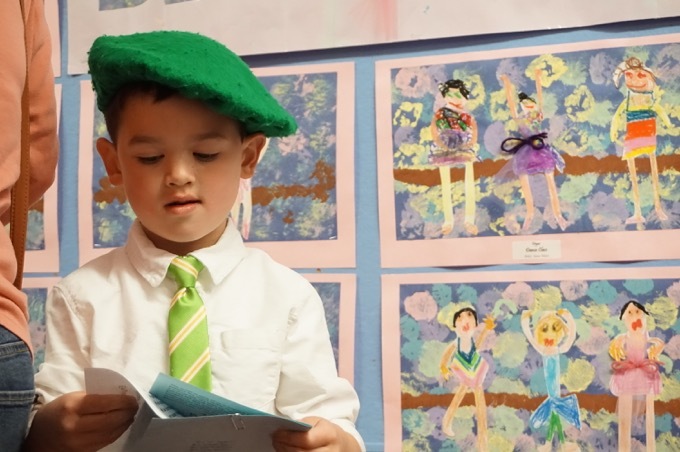 Programs are available during and after school. Cool! It’s not even crazy expensive to schedule a BruceMobile visit to your kid’s school ($195). 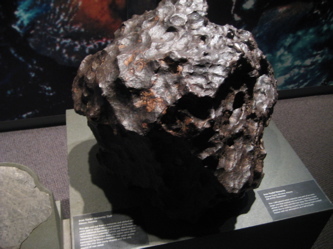 But there is one rule: Programs are offered to schools within a 25-mile radius of the Museum. The Bruce Museum is a well designed, well-funded, well-oiled museum machine that will be around for the rest of our lives, so as opposed to many other CT museums, there’s no rush to see the Bruce. But you should still see it. but it will never be the same without joe the monkee,only oldtimers will remember him,there was nothing more fun as a kid then going there and getting joe all riled up.